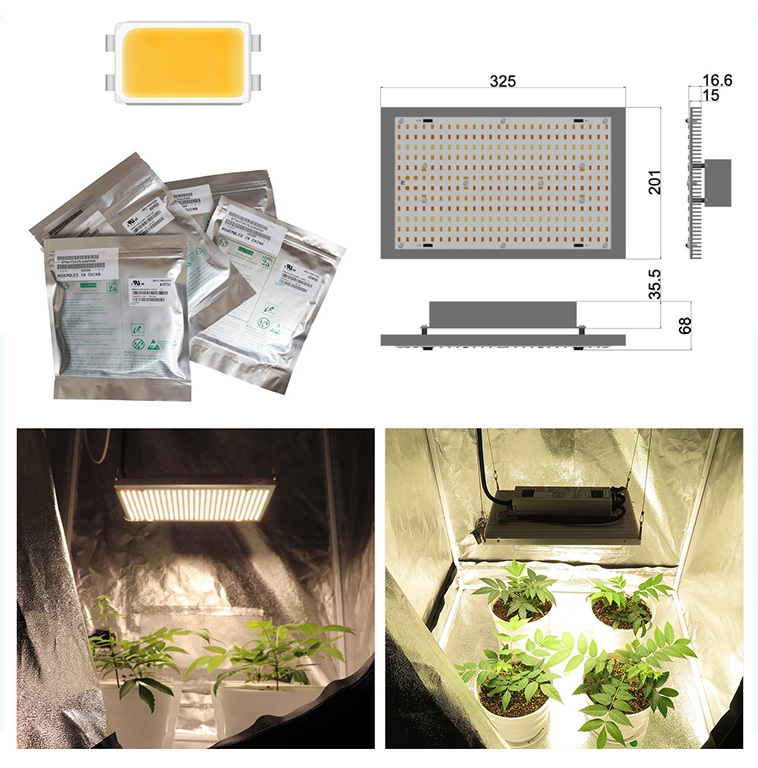 Description: RX-LM561-312-K1 Medicinal plant LED grow Light module horticulture lighting group, Full spectrum, The UV spectrum of the independent switch control can be turned on when needed, stimulating the plant's stress response, producing more medicinal ingredients and increasing the weight of the flower. Super High PAR output, PPFD>510Micromol ideal for medical plant growth. The F7 spectrum has been extensively tested and is 100% effective against medicinal plants, it has the biggest contribution for plants and useful for increasing the harvest. 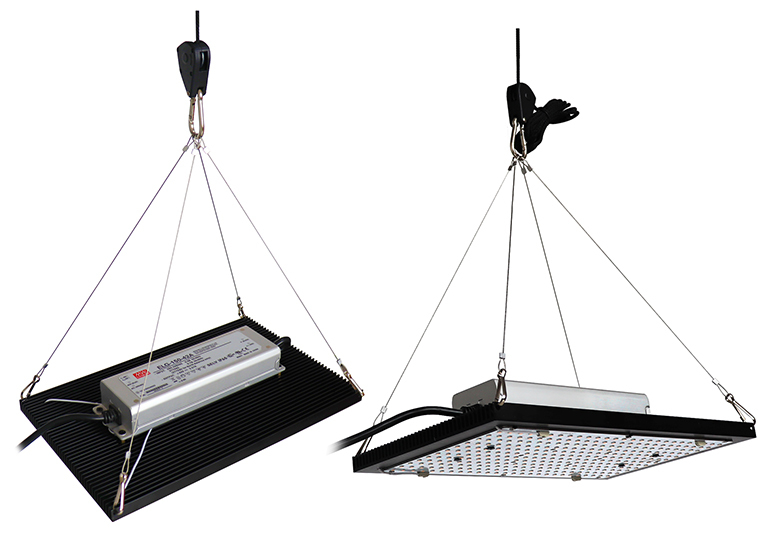 Suitable for use in basement and other No sunshine environment for planting crops. 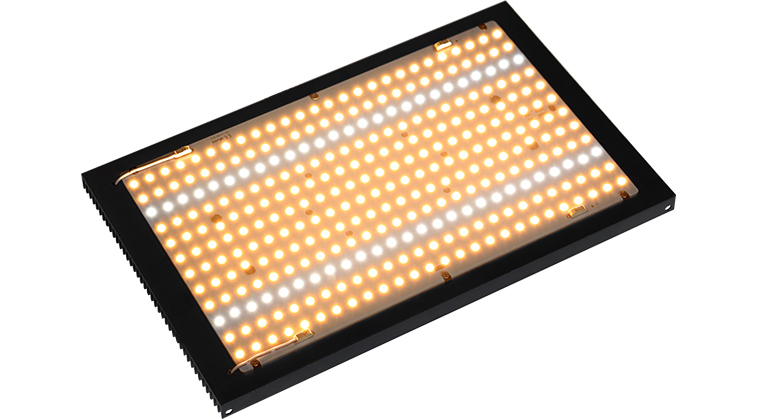 High efficiency Samsung LM561H S6 lamp bead plant light module, PPF efficiency up to 2.8µmol/J. 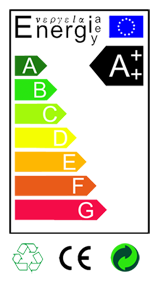 The same type of low price products are available (LM28-312). 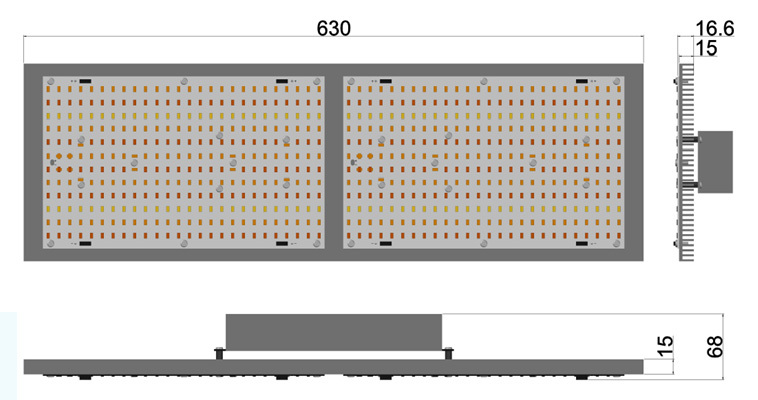 A variety of LM561H-S6 color temperature combination, the number of lamp beads is 312pcs, 12 series 26 parallel. Aluminum substrate size: 11.25" x6.88" (286x175mm). Heat sink size K1 12.8"x7.9"x 0.7"; K2 24.8"x7.9"x 0.7". Customize the size, power, spectrum, PAR output, PPFD output you need. 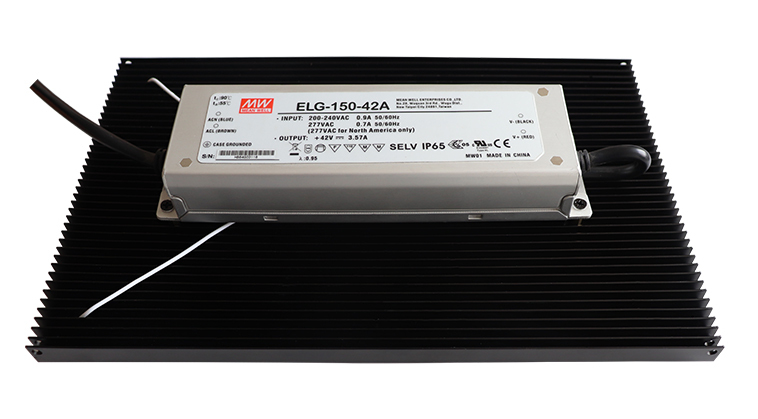 LED Module Input voltage: 32~37V, input current 1.5~3.9A. The above data is for reference only! Due to the use of LM561H or LM301B, the horticultural plant lamp lighting, test data is good, such as PAR output, PPFD output, but not a good plant spectrum plant light-recipe, because the test data has a relatively high light output, or some consumers buy . Although most of this light is green light that is of little use to plants. Samsung LM561H S6, the solution for making plant lights, is not a good plant lamp solution. 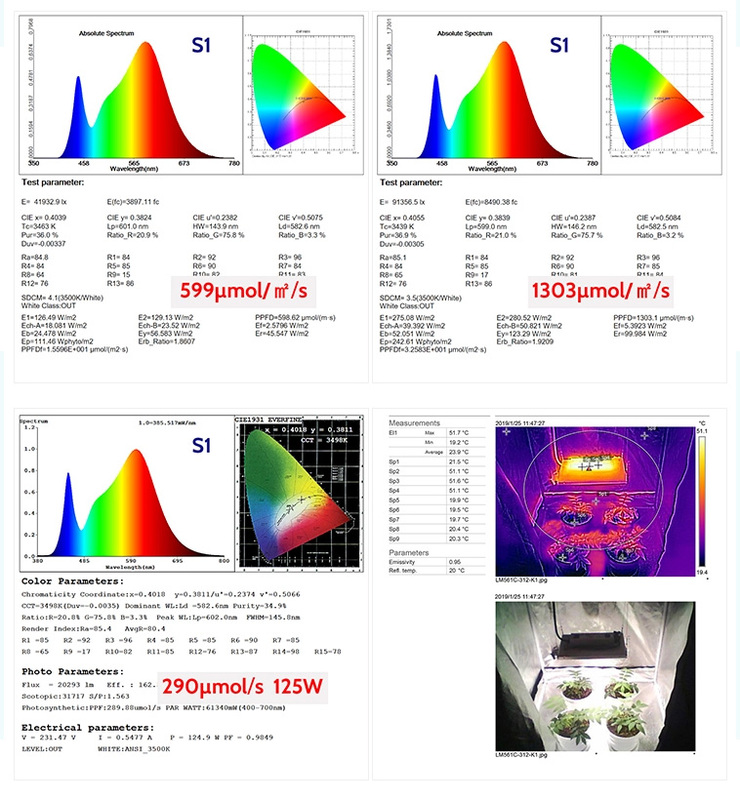 Due to the lack of 660nm deep red spectrum Hyper Red, its spectral plant light-recipe is not a special LED lamp bead horticultural LED for plant lighting, but because of its High light efficiency, low price cost, and general design increase power, make up for the lack of spectral professionalism, or meet some of the plant's lighting requirements. But increasing power to achieve the same effect means waste. 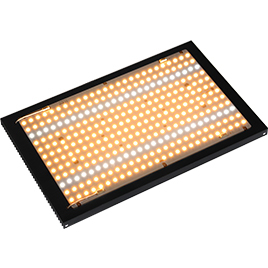 Our designed the LM561H plant light module, which uses Samsung LM561H S6 lamp beads, which are composed of different color temperatures. This makes the spectral light-recipe closer to the requirements of medicinal plants, and at the same time, there is a very good price. LM561-312 module, using 312 LM561H lamp beads, 24 more than 288 lamp bead products, using 12 series 26 parallel lamp bead combination, the input voltage is in the safe voltage range 32-37V, can Sell modules separately. You can also choose a kit. 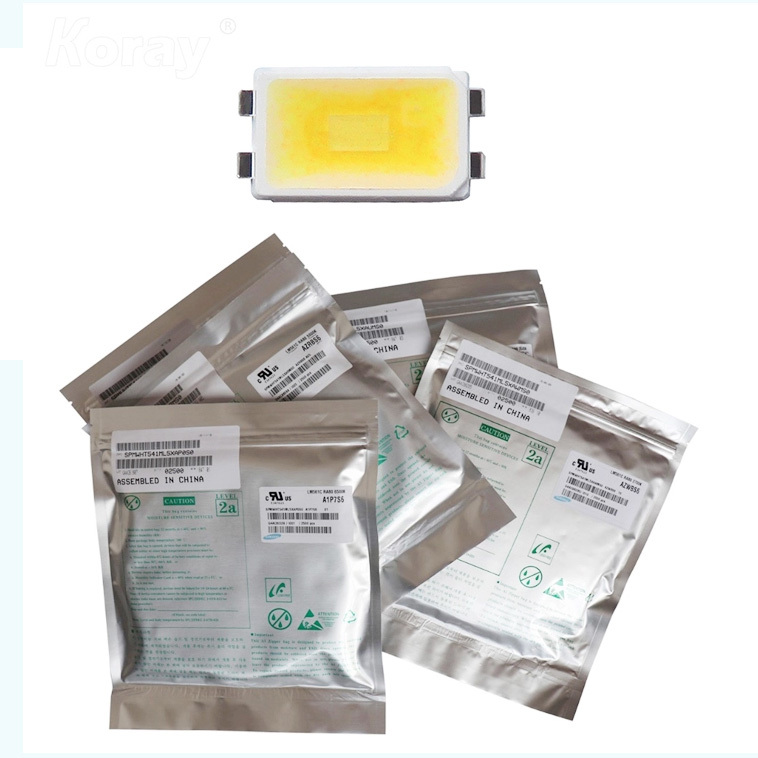 LM561-312-K series plant light module kit, the heat sink is 50% higher than similar products, generally adopts a heat sink with a thickness of 10mm. Koray products use a heat sink with a thickness of 15mm to make the product more reliable , and the low temperature rise provides more. 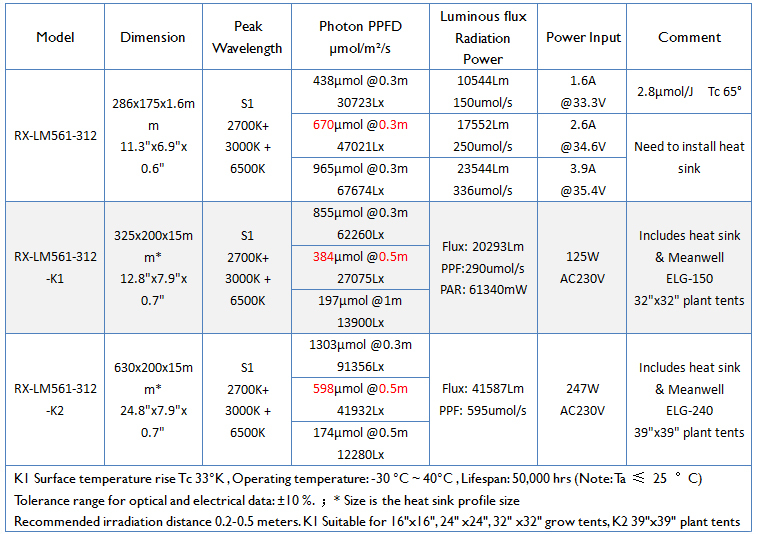 High PAR output and improved photosynthetic optical density PPFD of plant canopy! It is not an ideal choice to use the Samsung LM561H lamp beads to make plant lights for horticultural plant lighting. It is better to add Hyper Red 660nm. If you need to add extra red LED design, please contact us.